NEW DELHI: Businesses in India are increasingly focusing on setting emissions reduction and renewable energy targets, an analysis by Carbon Disclosure Project India has revealed. 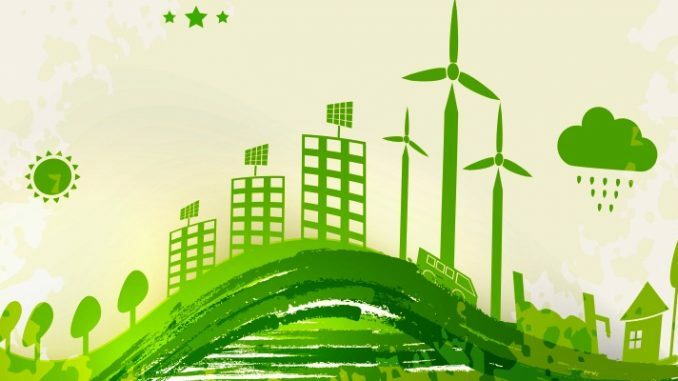 According to CDP’s latest report released on October 24, three Indian companies – Infosys Limited, Tata Motors Limited and Dalmia Cement (Bharat) Limited have committed to 100% renewable power and joined the RE100 campaign, boosting the country’s clean energy ambition. Over 80% of the 51 companies responding to CDP India Climate Change program have reported one or more types of emissions reduction targets and initiatives in 2017, the report added. About 40% companies are committed to renewable energy production and consumption targets. In addition, 40 reporting companies have an internal price on carbon or intend to put one in place within the next two years. 14% of the global high-impact sample of 1,073 responding companies have future-proofed their growth by committing to set science-based targets via the Science Based Targets initiative (SBTi). These are emissions reduction targets in line with the level of decarbonization required to keep global temperature increase below 2 degrees Celsius, the central aim of the Paris Agreement signed by nearly 200 nations. In India, Wipro, Tech Mahindra, Hindustan Zinc and Mahindra Sanyo Steel along with Aditya Birla ChemicalsBSE 0.13 % have committed to SBTi. Mahindra & Mahindra Limited and Infosys Limited are the first few trendsetters from India. By deploying internationally recognized business tools, these market leaders are also exchanging best practices with peer groups interested in embracing carbon pricing as an ambitious tool for climate action. In a world buffeted by hurricanes, floods, drought, extreme heat, health emergencies and debilitating water shortages, companies are increasingly being called up to take action. Governments are considering radical and unprecedented actions like India aims to become 100% e-vehicle nation by 2030 which has thrown the auto industry in whirl of activity.